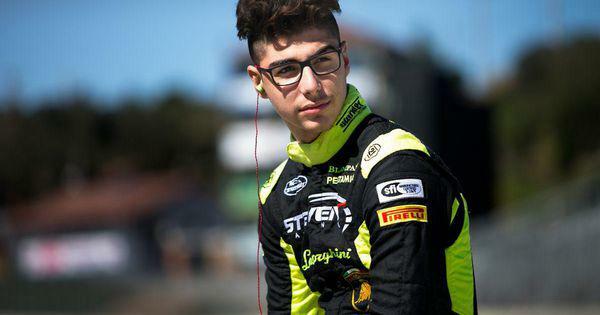 • Forbes profiles a 15-year-old pro race car driver named Steven Aghakhani, who has started a charity benefiting disadvantaged kids in his native Los Angeles. • Aghakhani could serve as a positive role model for the next generation of givers. What can we do to encourage more young people to think about the world around them? • Here’s another inspiring story about downtown Los Angeles and the joy of philanthropy. 15-year-old pro auto racer Steven Aghakhani has launched a charity for kids called Race For A Cause. Aghakhani made a name for himself as one of the youngest and most successful race car drivers in America, winning a championship title at the NASA SoCal Super Unlimited Class and securing Lamborghini’s new Huracán Super Trofeo. The purpose of Aghakhani’s charity events is two-fold. One, he wants to teach young drivers just getting their licenses at ages 16 to 18 about safe driving, encouraging them to use the race track as an outlet for speed instead of the streets. Two, he raises funds for an elementary school in need in his hometown of Los Angeles. “I am so proud of our team that we get to give back and make a small difference with youth,” Aghakhani says. Read the full article about the 15-year-old race car champ starting a charity by MeiMei Fox at Forbes. A good way to complement your interest in Inspiring Stories is to connect with others. Check out these events, galas, conferences or volunteering opportunities related to Inspiring Stories.